I’ve read a series of very informative posts which have led me to checking my targa roof drains. My drains seem to be clear - I’ve passed air up the way with no resistance and found no gunk etc... however, the plastic inserts are missing on both sides (clearly somebody has been fiddling in the past) - how critical are these? Also, does the drain hose just sit on the rail below? It doesn’t seem to connect to anything. Hopefully, a picture is attached below! I should add that both rear seats are damp. 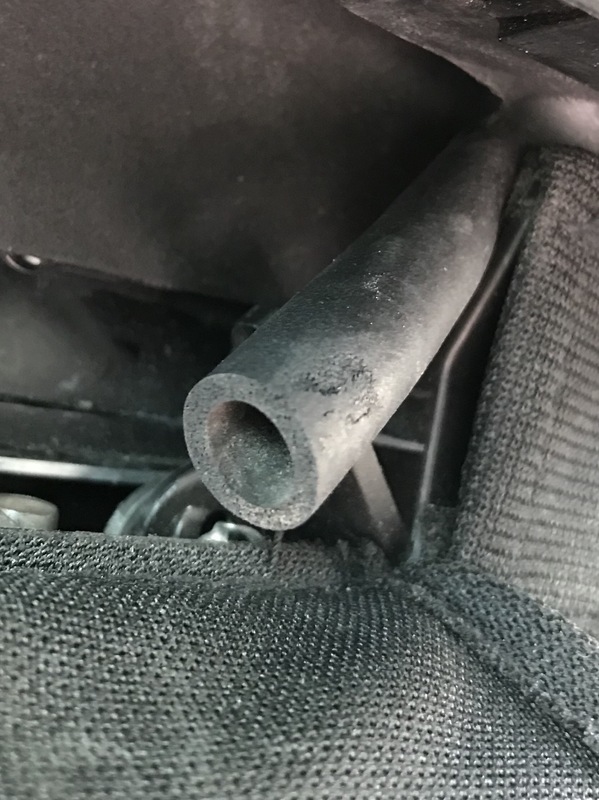 If you are talking about the B pillar (middle drain) there is a little extension pipe to direct to the hole below, if this doesn't meet I assume water will run down the rail until it drips off into the rear seats and carpets. 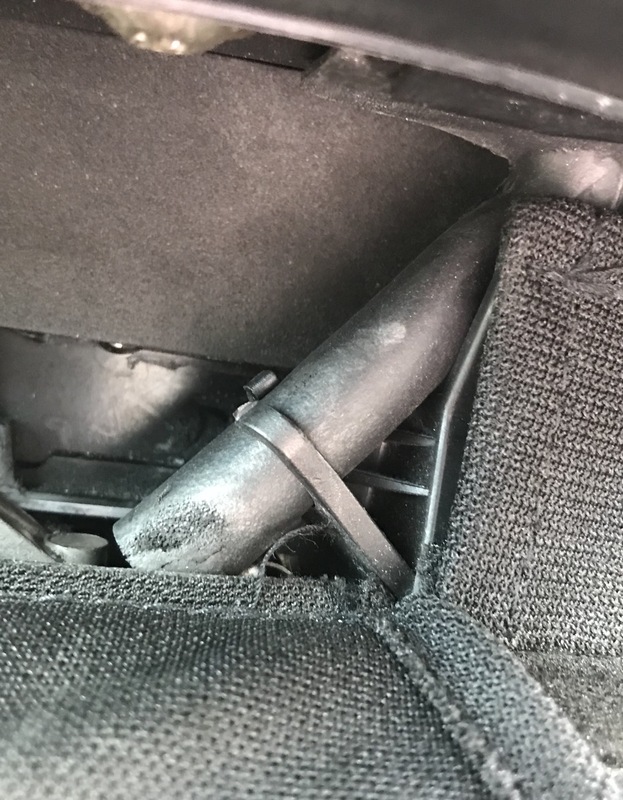 There is also a clip the pipe sits in to make sure it is in the correct place then a small cable tie to hold it in place. That’s the one! It was your guide I was following (thank you very much btw!) - I couldn’t see any hole below, so basically have an open pipe that sits on the rail. Does the hard plastic piece (that’s missing on mine) connect to anything below? 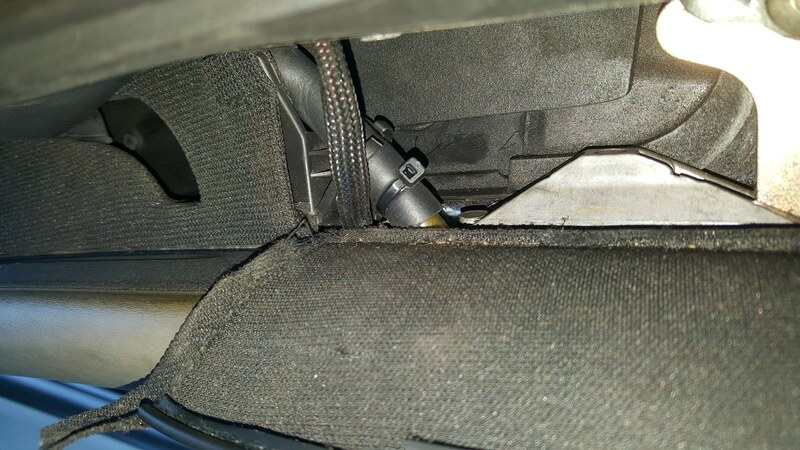 The plastic pipe end just sits above the lower drain hole and drains under the car from there. As you saw I extended my hard pipe as the original didn't look to reach so well. This is how it looked when I pulled the curtain back. Looking back at it there appears to be a hole of some description near the hose opening, but not quite aligned. Thank you! I’ll get some pipe and see if I can fix it. It seems like quite a bizarre set-up, but I guess it works when’s it’s right. Just pulled the curtain back and took a pic of mine, not easy to get the camera in but the hard plastic tube pretty much dips into the drain hole making sure any water does go down there. Brillint. Thank you mate - I’ll go stick a bit of pipe in.